Harry Winston has earned the reputation of being the ‘jeweler to the celebs’. Located at the House of Winston at Beverly Hills, California, Harry is in a habit of designing and lending jewelry worth thousands of dollars to the star making presence in Oscars. 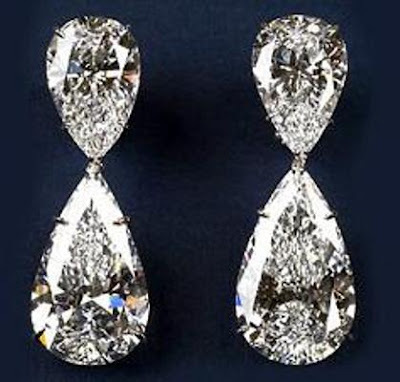 Following the custom, In 2006 the House of Winston shaped an ultra-elite pair of ‘Extraordinary Diamond Drop Earrings’ festooned with two pear-shaped diamonds of 60.1 carats fixed in a platinum form. The pricey pair of earrings is retailed at $8.5 million.